I saw a tweet from Frequent Miler that UPS is running a promo for discounted shipping and free pick ups. If you resell I think this is a must do. Signing up is pretty easy. I did it this morning and it only took a minute or so. Here’s how. 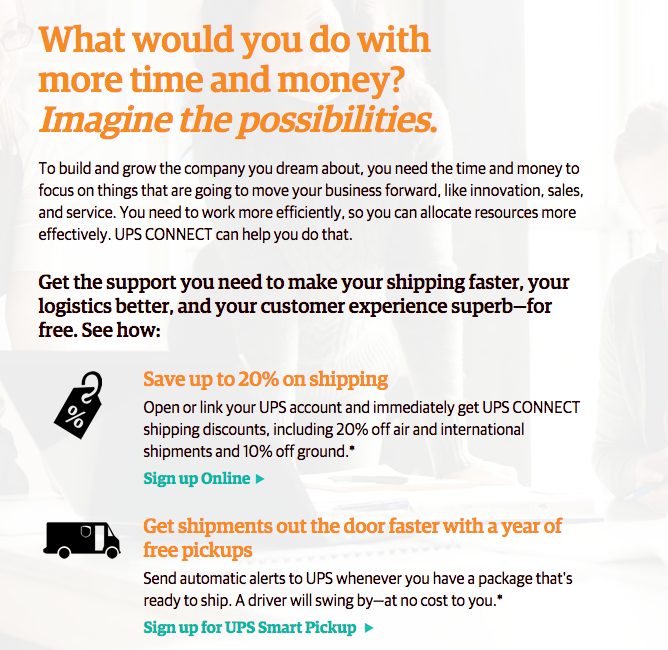 Click this link to sign up for UPS Connect. 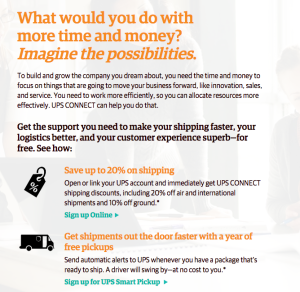 Then click on the link for UPS Smart Pickup. On the next screen you can choose to either create an account or link an existing account. I linked an existing an account which led to this next screen. From here either add an account or open a shipping account. It is pretty simple and very much worth it for 1 year of free pick up. 2 Comments on "Attention Resellers Free UPS Pickup for 1 Year"
Do you know how you add FBA packages? I know it is possible, but have never done it. I’ve never used it but my goal is to find out. I will report back.